VIPRO’S PHILOSOPHY IS TO BRING EXCEPTIONAL EASE AND QUALITY IN LAYING FOR OUR CLIENTS THE PERFECT FOUNDATION FOR A SMART FUTURE! The concept of smart environment involves a small world where different kinds of smart device are continuously working to make inhabitants’ lives more comfortable. From a smartphone or tablet, stay safe, manage energy consumption, and provide entertainment. 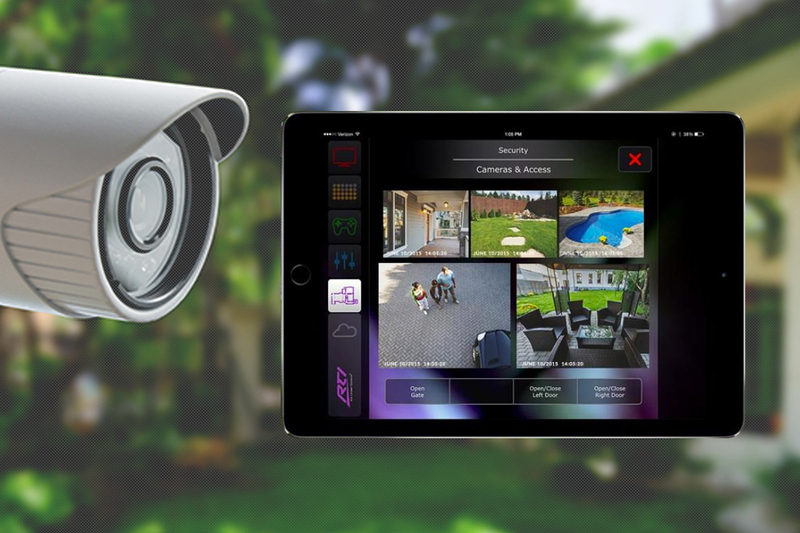 Home automation does not only offer security solutions such as surveillance cams and sensory alarms but also has your security covered whether you’re checking an event log from a smartphone, watching video surveillance on an iPad, or restricting access to a secure area. 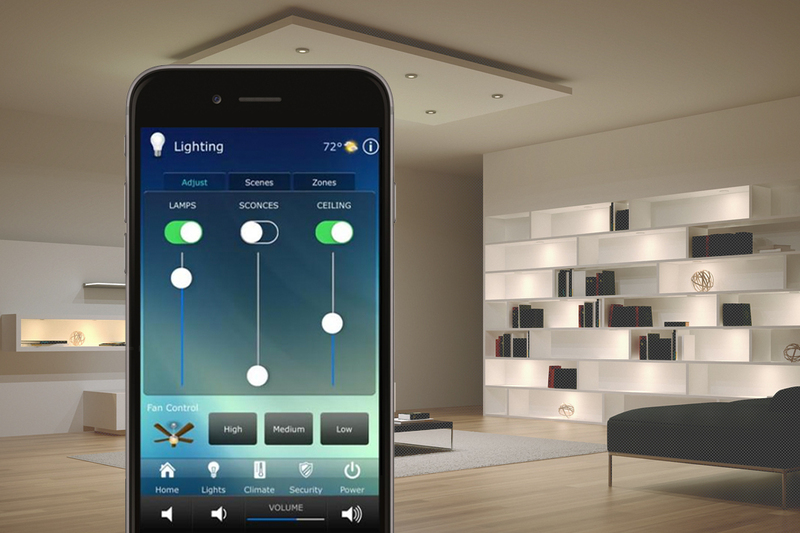 Home automation aims to satisfy the experience of individuals from every environment, by replacing the hazardous work, physical labor, and repetitive tasks with automated agents, making human interaction with the system a pleasant experience. Managing the ever increasing technology options throughout the home can become overwhelming. 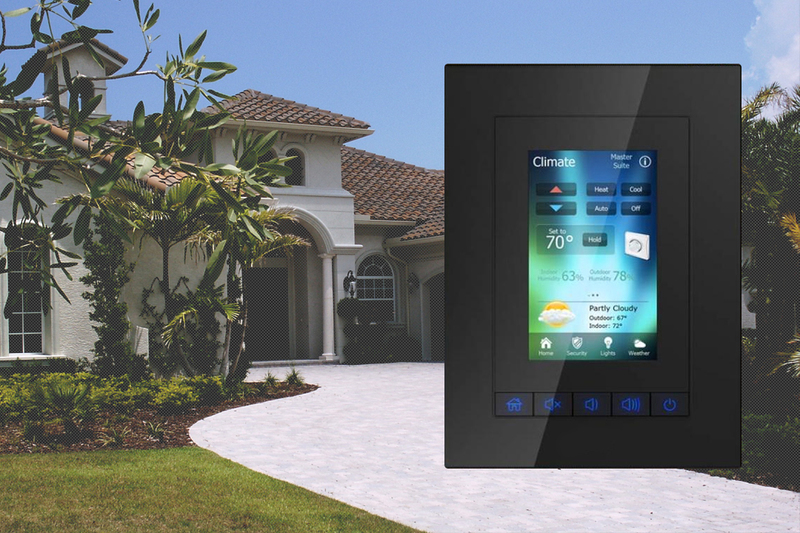 VIPRO can put the homeowner back in command of these technologies by bringing together control of electronics, whole house audio, lighting, security, and HVAC into one, simple interface. Whether in-wall or wireless, VIPRO solutions offer tremendous flexibility, allowing for a control interface tailored to each homeowner’s automation needs and technical aptitude. Life doesn’t just happen in the living room. Things heat up outside the kitchen. And we dine almost everywhere but the dining room. Our lives are fluid. Shouldn’t we expect the same from our media? With VIPRO’s distributed audio & video solutions, entertainment is always within reach. A simple touch of a handheld controller or wall-mounted touchpanel activates music anywhere in your home. Begin a CD in the kitchen and finish in your bedroom. Access your MP3s or satellite radio upstairs while family members enjoy their favorites downstairs. If there’s one thing that changes all the time, it’s the weather. That’s why it’s critical to have a heating and cooling system that can quickly and efficiently respond to those changes. 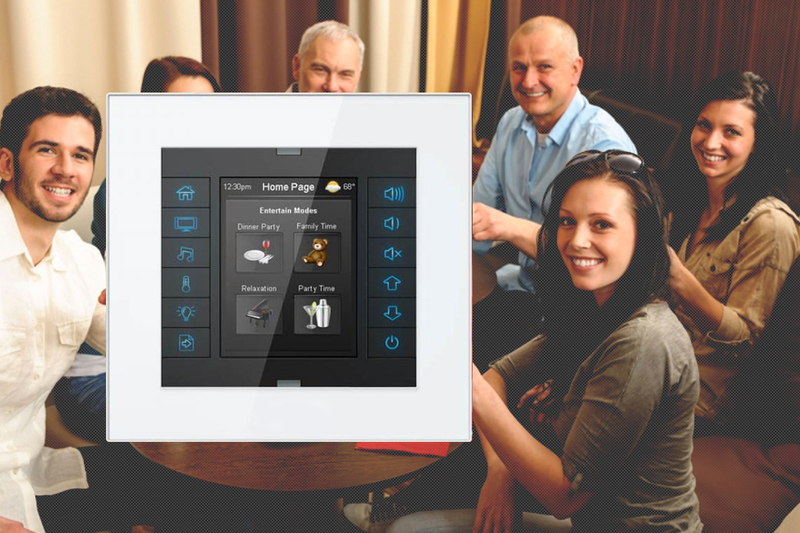 Once your HVAC is integrated into your home automation system, you’ll have instant feedback and control over every zone of your residence in one touch! And there shall be light! Whether you’re building a home or enhancing an existing residence, we offers intelligent lighting and shade control in and around your home. Adjust lighting scenes with one-touch, let sensors turn on the lights as you approach and turn them off when the room is empty or reduce energy costs with fully automated solutions that don’t require a button-press at all. Our systems can be customized to help save money and decrease your environmental footprint by automatically adjusting HVAC, lighting, shades, and more to maximize energy conservation. 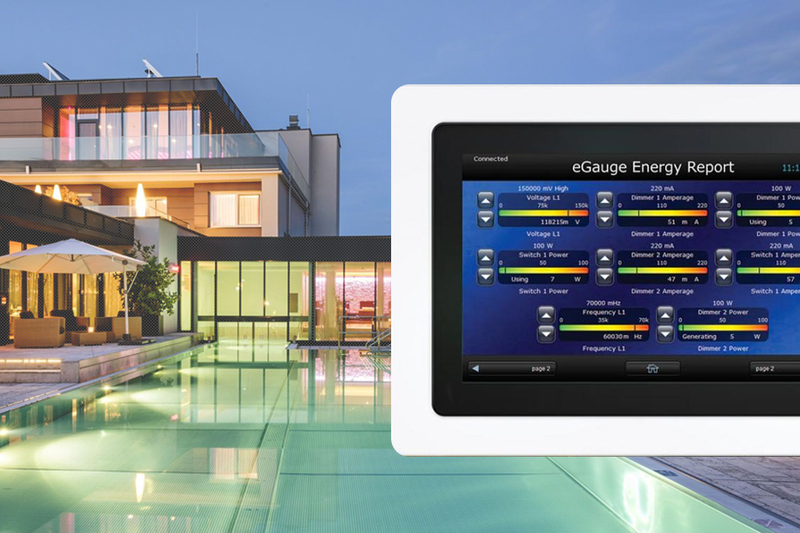 Additionally seamless integration with popular energy management products allows you to monitor in real-time your progress towards a greener lifestyle. Bring the ultimate cinema experience to your living room! Controlled and integrated home theater package allowing every member of the family to easily operate even the most sophisticated home theater. 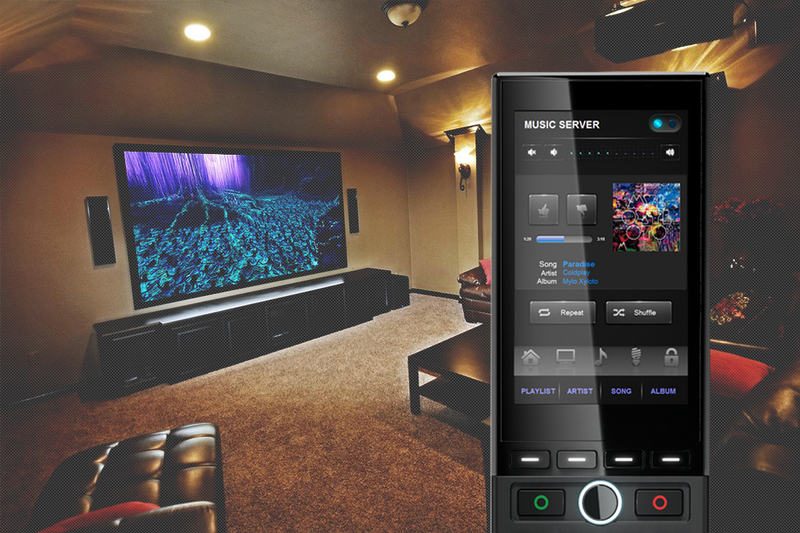 With one-touch control and automation of audio, video, and lighting systems, eliminating the clutter and confusion of multiple remotes. Enjoying the home cinema experience! You hope it never happens to you! Convenience and security become one with custom systems that control security through an elegant interface. 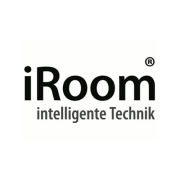 Designed to satisfy the most discriminating clientele, our devices integrate seamlessly with our security-tight solutions for a truly intuitive experience. Why waste valuable storage space on your PC or phone when you can store your documents and media in the cloud and access it across devices? Cloud sharing services let you do just that. We offer round-the-clock service where not only services are intended to be available 24/7, but our technicians are also available to help at any time! 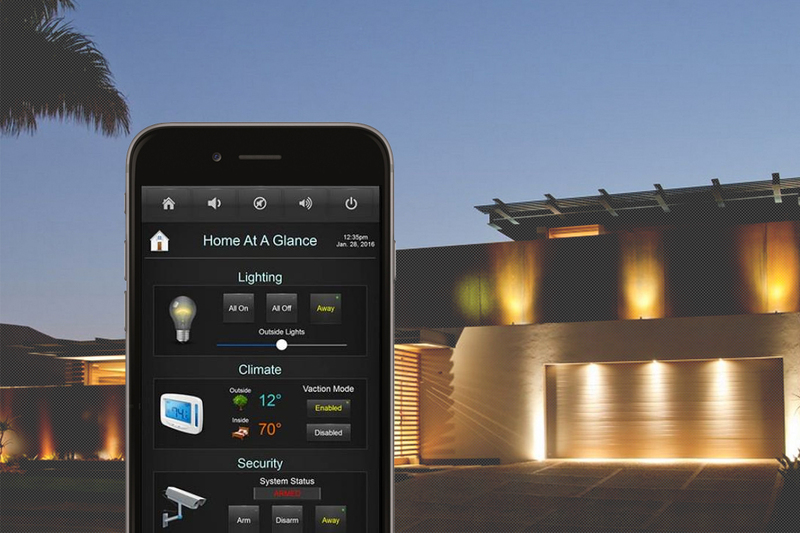 Today’s smart security systems go beyond traditional home security to provide a new level of control, accessibility and connection. All your acticities are highly secured in our system. 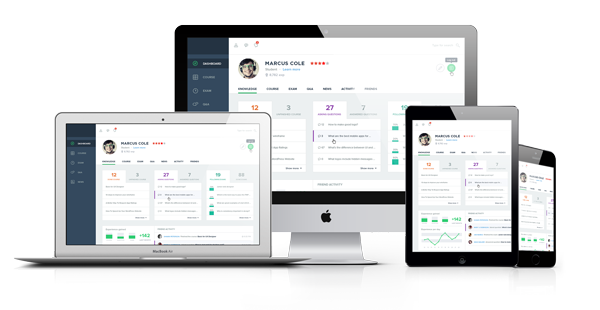 We customize each software according to the client’s needs for maximum efficacy and performance.